Hello, adventurous frogs! 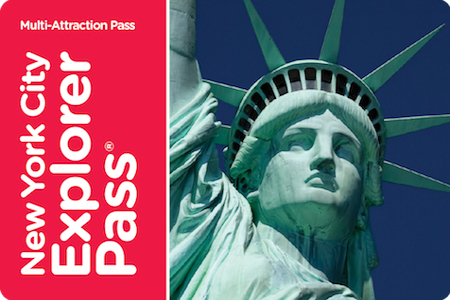 Planning a trip to the Big Apple with your little tadpoles? If so, you might be wondering how to choose a New York City hotel with kids. It’s a huge city and there are countless lodging options. When it comes to choosing an NYC hotel with kids, you should consider factors such as location, cost, amenities, proximity to subway stations and your family size. We can also help, of course! We've picked a handful of Frog Family Favorite and Frog Family Recommended hotels in NYC that we think our toadally perfect for families like yours and ours. Decide what you want to do, and choose a hotel close to your action. On a recent trip to NYC, our frog squad chose a hotel near Times Square. We knew we would be seeing Broadway shows in the evening and returning to our hotel late at night. We also planned on using the discount ticket booth and stand-by lines during the day. Plus, we had early morning plans in the area, so staying within walking distance of Times Square was convenient. There was a major subway station close by, which made it easy to purchase tickets and hop on a train downtown towards Wall Street and other Lower Manhattan sights. We chose a hotel that was central to the attractions we wanted to go to but also with accessibility to go further out on excursions. Looking for NYC trip ideas? 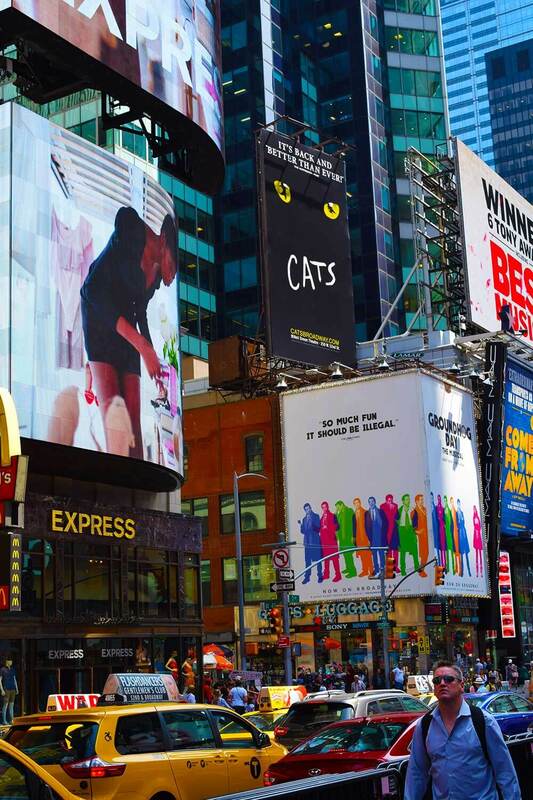 Read What to See and Do in NY Times Square with Kids. 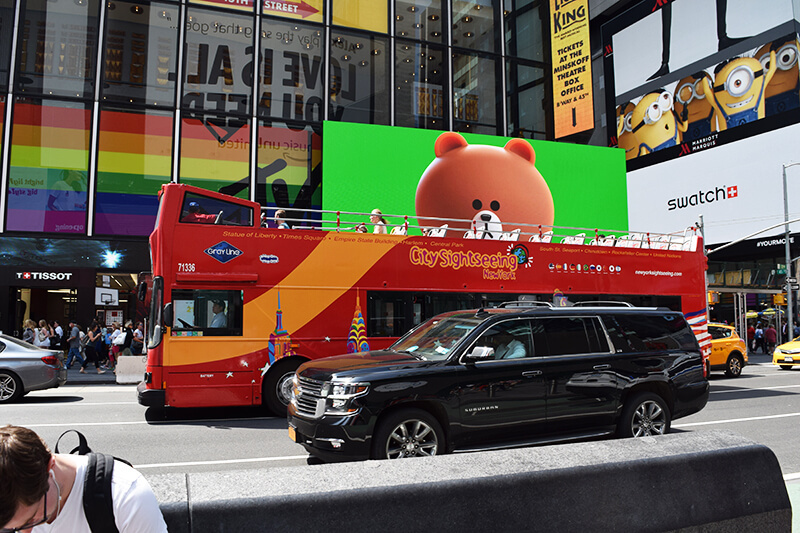 You might enjoy the excitement of a place such as Times Square, or your family might prefer a less touristy location or one closer to parks, museums or playgrounds. If planning to shop until you drop, choose a hotel near the shops so you have a nearby place to drop off purchases. 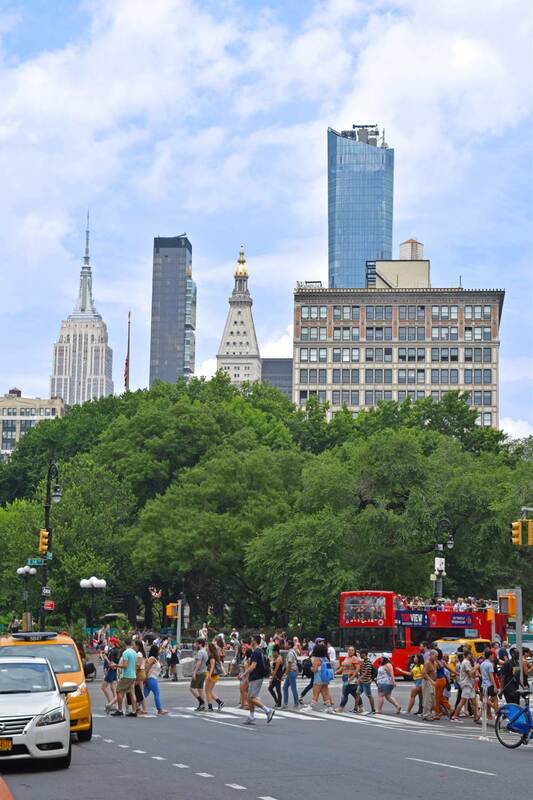 Many families visiting NYC choose to stay in Midtown on the West side, which is within walking distance to many attractions, restaurants, theaters, Central Park and Rockefeller Center. 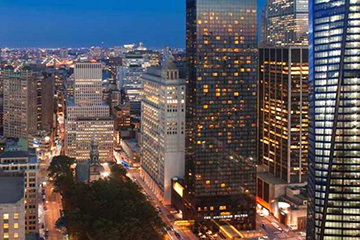 Hotels in Lower Manhattan (the southern tip of Manhattan Island) are within walking distance to several historical sites. From there you can take a boat to the Statue of Liberty or you can walk to areas such as the 9/11 Memorial, Chinatown, Little Italy, SoHo and Greenwich Village. The Upper East Side and Upper West Side are each near major museums as well as Central Park. Price is important when choosing a location. It was much more expensive to stay right in the heart of Times Square at the Marriott Marquis, which was next door to our shows and favorite family restaurant compared to the Marriott Courtyard just a few blocks away. We chose the discounted room with a 10-minute walk because the difference in price was worth it. We put our savings towards our theater tickets instead. Plus, we were entertained on our walk with plenty of sights, food stands, street performers, wobbling chairs and excitement. We were still close to the subway station for ease in getting around the city. Hotels in Lower Manhattan are usually less expensive than Midtown, especially during the weekend, which tends to be quieter without the hustle and bustle of Wall Street. When comparing hotel prices, find out if the taxes are included so you do not get surprised at check-in or checkout. Remember that a good hotel deal is only a good if it is easily accessible to your touring destinations (bringing us back to location). If you have to spend a lot of money and time on taxis, Uber or Lyft, or fees for parking and tolls, you might end up losing on the cost savings by spending it on transportation. Speaking of transportation, NYC is a place where it is cheaper and easier to rely on public transportation than it is to drive a car so you might forgo renting or bringing a car. We prefer to travel by foot and train in New York City. You might consider using a hop on/hop off bus tour company to allow you to visit many popular destinations for families. These figures are based on a sample vacation for a family of four frogs visiting NYC for 7 nights in early March. Which hotel amenities are important to you? Will you take advantage of hotel concierge and babysitting services? Do you prefer a hotel with free breakfast or at least an option to purchase food on-site? New York is not really a swim vacation destination, but if a pool is a must, check out the Crowne Plaza Times Square for some splashing or cooling off. A few hotels also have rooftop pools that are open in warm weather. You may also want access to a computer and printer, a lounge area, or a fitness center. Some hotels are particularly family friendly. The Four Seasons in Midtown East offers free rollaway beds, cribs, toys, DVDs, high chairs, Diaper Genies, baby proofing items, and baby toiletries. Kids will be particularly spoiled with the coloring books, DVDs, robes and slippers just for them. Plus, the concierge can arrange babysitting as well as kid tours and activities. Many Manhattan hotel rooms are very tight and allow a maximum of four people. Choose your hotel based on your family size. If you have a bigger group, search for a hotel that accommodates larger families. Look into a suite at a family-friendly hotel like the Doubletree Guest Suites in Times Square. It can hold up to six family members and has a kitchenette, which helps in saving money for food. The Residence Inn New York Manhattan offers rooms with two beds plus a sofa bed. It has in-suite kitchenettes, free hot breakfast, board games and a free rubber ducky for bath time. TRYP by Wyndham Time Square South has bunk beds, oversized rooms, refrigerators and sometimes two bathrooms. Kids receive complimentary coloring books and dental kits. With free wifi and gaming options, it might be hard to get them to leave the room. 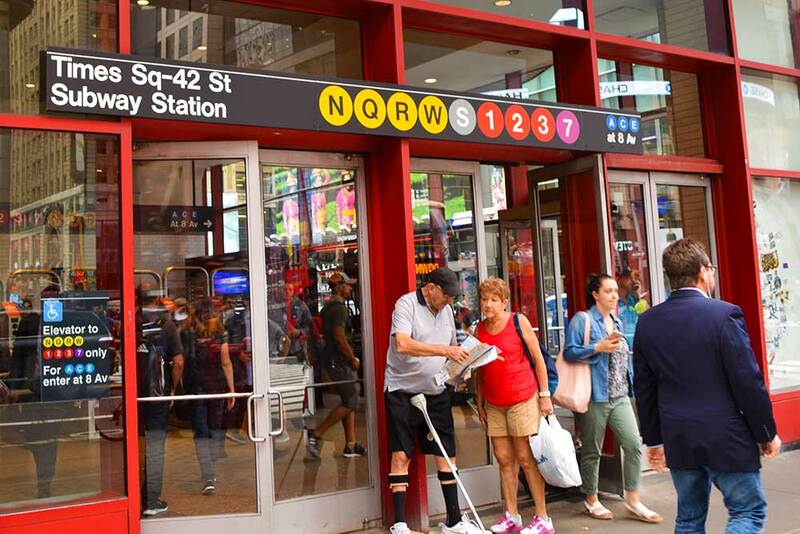 It is conveniently close to Times Square and has subway access. One thing to consider when booking a New York City hotel with kids is the age and cleanliness of the building. Read other hotel guests’ reviews online. If you hear of bedbugs, stay away! There are some serious bed bug problems in NYC, and you do not want to pick up any parasites on your trip. There are many beautiful old hotels that have undergone transformations, with updated décor. Look at hotel photos so you can get an idea of what type of room you are reserving. When traveling with an active toddler you will especially want to be cautious and perhaps even look for a hotel with baby proofing. Inspect the room and mattresses upon entering for any hazards or critters like bedbugs. Read our Top Safety Tips when Traveling with Kids. 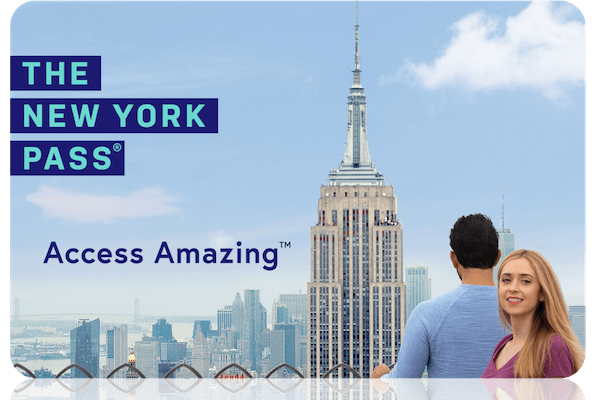 You can book family-friendly hotels in NYC and other cities with Undercover Tourist! Click here to start planning your next adventure. Got tips for more family travel planning? Share in the comments below.